Look under the trees when you inquire! Now that you have started thinking about your topic to inquire it is time to discuss critical literacy. A trap for students is to think everything they read and find is speaking the truth and should be included without critique in their investigation. Often the sources are biased or just misguided and non-authoritative. It is important to examine your sources critical and try to determine how objective they are. That is, are they pushing a particular agenda or working from limited knowledge and/or data. Being critical may be defined as a challenging approach to the reliability, usefulness and bias of a source. It involves the questioning and challenging of the attitudes, values and beliefs that lie beneath the surface of a written source (Internet, pamphlet, book etc) or person/s interviewed or surveyed. · skillful judgement as to the truth or merit of something. An ability of a person to be critical is sometimes referred to as a type of literacy (literacy meaning an 'ability to'). · Who has presented this information? · How much of it is fact and how much opinion? · Is the information biased? · Whose point of view is missing? · Is this an ‘expert’ opinion? · How objective is this information? · How do the opinions reflected in this information compare to that of other social groups? · What are the values and attitudes implicit in this information? · How are the opinions in this information likely to make some people feel? To ask these questions is to be critical in the positive evaluative way. It is such questioning and challenging of your research that should be evident in your investigation. Three really important words in critical literacy are credibility, reliability, usefulness and bias. Credibility (reliability) being something that is credible and is worthy of being believed because it has a high degree of accuracy. Some sources of information are more creditable than others. Newspapers and magazines vary greatly in their credibility as do television programs and the Internet. No source can be totally creditable; each has a degree of credibility which must be acknowledged and discussed to explain how it effects the conclusions. Bias being the misrepresentation of information to create a distorted view that could create opinions that are not credible. Much of the information we receive is biased in some way. Taking a particular point of view and disregarding all other perspectives is a form of bias as is leaving parts of information out of discussions. It is always important to identify whose point of view is not represented, and why it is not presented in any information that you have. Usefulness relates to how much the source has helped your investigation. In some way or other all sources relevant to a topic are useful but for what? Sometime just to tell us untruths! It is important in your inquiry to challenge the 'veracity' of the sources/data you 'harvest'. 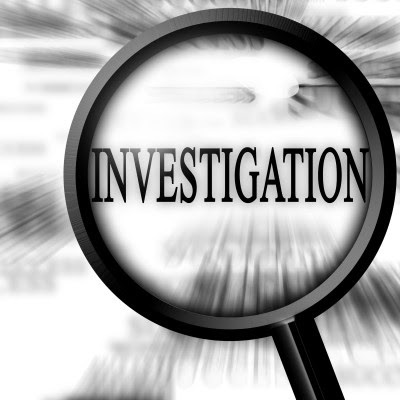 It is your interrogation of the sources/data that will determine the quality of your investigation.